Abbott and Costello. Salt and pepper. Bread and butter. Some things are just better together. 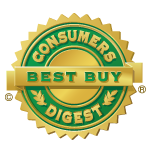 When it comes to home water treatment technology, the same rings true. In this month’s blog, we’ll explain how pairing a reverse osmosis drinking water system with a water softener provides the purest, most refreshing water for your home. When it comes to home water filtration, there are different layers of treatment that address different water quality issues. Many people are familiar with reverse osmosis (RO) systems, which provide purified water for drinking and cooking. A reverse osmosis filtration system makes your drinking and cooking water safe by filtering out lead, nitrates, and other impurities. Even if your water comes from a municipal water supplier, your drinking and cooking water will taste better because an RO system also removes chlorine. At Secondwind Water Systems, we install Kinetico reverse osmosis drinking water systems. The Kinetico Drinking Water Station, which is certified by the National Sanitation Foundation, removes more impurities than any other reverse osmosis system, and has earned the organization’s highest ranking. What About Your Hard Water? While your RO system will purify your water, it will not take care of the damage hard water causes to your fixtures and water-using appliances. 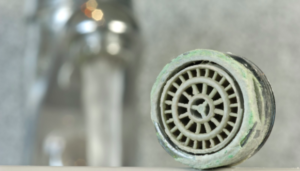 “Overtime, hard water has the same damaging effect on your RO system that it has on your appliances and fixtures—it ruins it,” explains Christine Fletcher, president and founder of Secondwind Water Systems. Your RO membrane will last longer if you soften your water. Pair your reverse osmosis system with a Kinetico softener, and Kinetico will extend the warranty on your K5 membrane to 10 years. A water softener will protect your reverse osmosis system by removing scale-forming elements like calcium and magnesium, before they ever reach it. In the process, water softening can add slightly higher levels of sodium to the water. (How high these levels are depends on how hard your water is). This is where reverse osmosis comes in. Remember what we said about being better together? Your reverse osmosis system, which purifies your water, will also remove the sodium added to softened water. Pairing a reverse osmosis water treatment system with a water softener provides the best water for your whole house—pure, sodium-free drinking water and great soft water for use throughout your home. The combination also protects your investment by protecting your equipment. 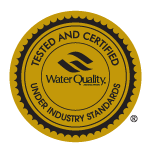 To find the best water treatment system for your home and family, contact the water treatment professionals at Secondwind Water Systems at 603.641.5767, or visit us online.